Where should the balance be placed between individual privacy and the potential for medical break throughs? What are some of the dangers of exploitation of genomic data for discrimination? Are the surrounding fears justified? How will private citizens and entities deal with discrimination and stigma tization based on genomic information? Jonathan Moreno is Professor of Medical Ethics and the History and Sociology of Science at the University of Pennsylvania, as well as a Senior Fellow at the Center for American Progress and an elected member of the National Academy of Sciences. The editor of the website Science Progress, Moreno has written The Body Politic: The Battle Over Science in America, as well as eleven other books and over 400 papers on bioethics, science and society. He is the former President of the American Society of Bioethics and the Humanities. George Annas, considered “the father of patient rights,” is a Professor of Medicine and Law at Boston University and the founder of the international NGO, Lawyers for Human Rights. A Joseph P. Kennedy Fellow in Medical Ethics, his books include: American Bioethics: Crossing Human Rights and Health Law Boundaries. Jason Bobe is Executive Director of PersonalGenomes.org and Director of the Community for the Personal Genome Project, a collaborative effort with Professor George Church at Harvard Medical School which seeks to improve the accessibility and utility of whole-genome sequencing. Juan Enriquez is a Managing Director at Excel Venture Management, a venture capital firm that invests in companies that apply transformative life science technologies to solve problems in healthcare and beyond. He was the Founding Director of Harvard Business School’s Life Sciences Project and among his books are As the Future Catches You, on the impact of the bio-based economy. Robert Green is a faculty member at the Research Institute Division of Genetics at Brigham and Women’s Hospital and the founder of Genomes 2 People (G2P), a project exploring whole-genome sequencing in clinical practice. He is a regular member of the National Human Genome Research Institute (NHGRI) study section on Ethical, Legal and Social Issues (ELSI) and Human Genetics. Melissa A. Gymrek is a doctoral candidate in Dr. Yaniv Erlich’s group, which focuses on building new tools and algorithms for studying human genomics, at the Whitehead Institute for Biomedical Research at MIT. Jamie Haywood founded the ALS Therapy Development Institute in 1999. ALS TDI is the world’s first non-profit biotechnology company; it accelerated research on the disease by hiring scientists to develop treatments outside of academia and for-profit corporations. In 2005, Jamie co-built PatientsLikeMe.com to give patients control and access to their healthcare information. Christian Macedonia, a gynecological surgeon, is a program manager in the Defense Sciences Office of the US Department of Defense. His research is aimed at understanding how humans can thrive under adverse conditions. In addition to his role at DARPA, Macedonia is on the faculty of the Johns Hopkins University School of Medicine and serves on a volunteer basis at the Walter Reed Military Medical Center. Debra JH Mathews is the Assistant Director for Science Programs for the Johns Hopkins Berman Institute of Bioethics. As the Assistant Director for Science Programs, Mathews is responsible for overseeing the Stem Cell Policy and Ethics program and the Program in Ethics and Brain Sciences, as well as other Institute initiatives in policy and ethics related to biomedical research. Michael Rugnetta is a former Research Assistant at the Progressive Bioethics Initiative at the Center for American Progress. He also writes for the Huffington Post and Science Progress about the impact of cutting-edge scientific advances on society. 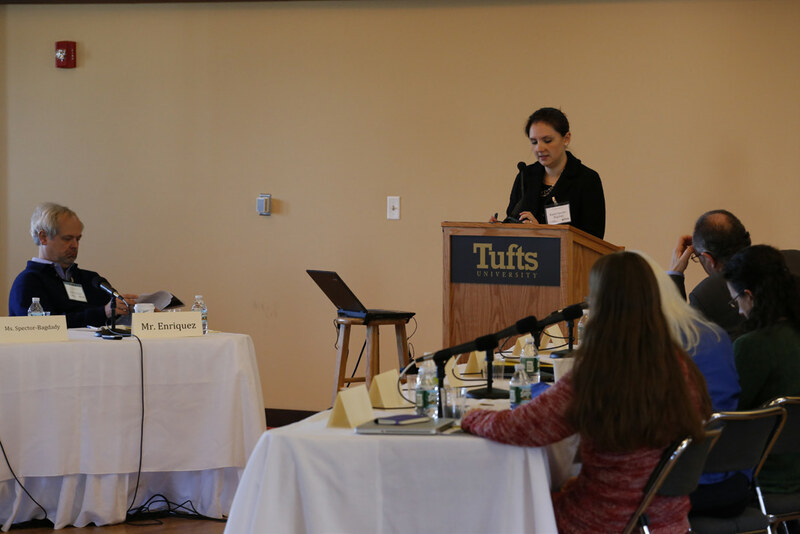 Kayte Spector-Bagdady is Associate Director at the Presidential Commission for the Study of Bioethical Issues. She was the Associate Director on Privacy and Progress in Whole Genome Sequencing and a lead staff investigator for Ethically Impossible: STD Research in Guatemala from 1946 to 1948. Nancy Wexler is Higgins Professor of Neuropsychology in the Departments of Neurology and Psychiatry of the College of Physicians and Surgeons at Columbia University, as well as the President of the Hereditary Disease Foundation. Involved in public policy, individual counseling, genetic research, and federal health administration, she is most widely known for her important scientific contribution on Huntington’s disease. Wexler is Chair of the Joint NIH/DOE Ethical, Legal and Social Issues Working Group of the National Center for Human Genome Research.